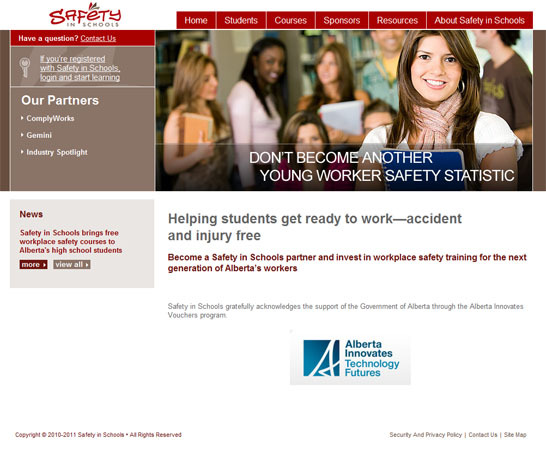 Hunt Alberta required the design and technical experise to create and publish an online eMagazine. aNewEarth.com required a brand that would professionally represent their business. This website was created to promote the spiritual teachings of Eckhart Tolle's book A New Earth. 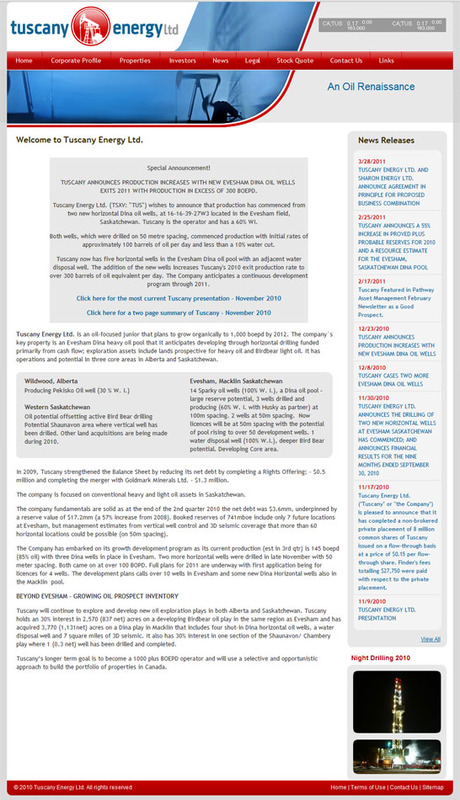 In order to build a community of members, interested visitors can sign up to a members based enewsletters. Members have access to their personalized "My Sanctuary". We are working on developing a system for video conferencing and webinars which will extend the teachings through the internet for small to large groups to have inreactive online discussions. Members and non-members are able to purchase books, CDs, and DVDs of their favorite spiritual teachers. 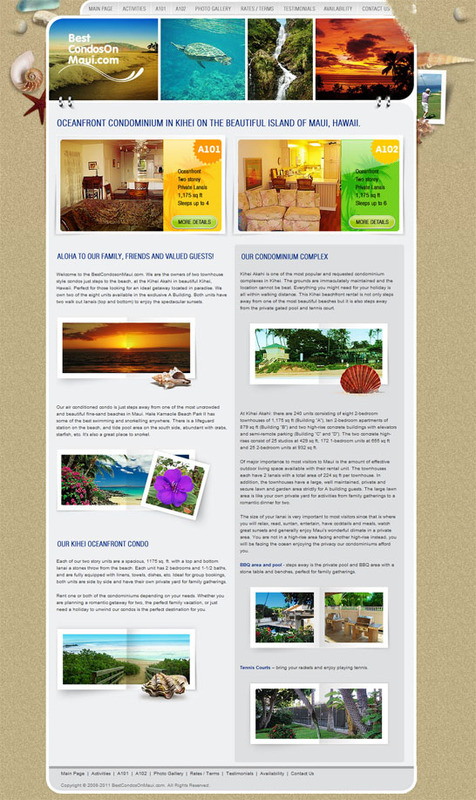 This website was created to promote two rental properties on the beautiful island of Maui, Hawaii. In order to encourage rental bookings, we created a dynamic Photo Gallery (using AJAX), an online availability calendar (integrated with 3rd party system), and an email contact form. The website was designed to be simple yet appealing to show visitors the benefits of visiting the island. 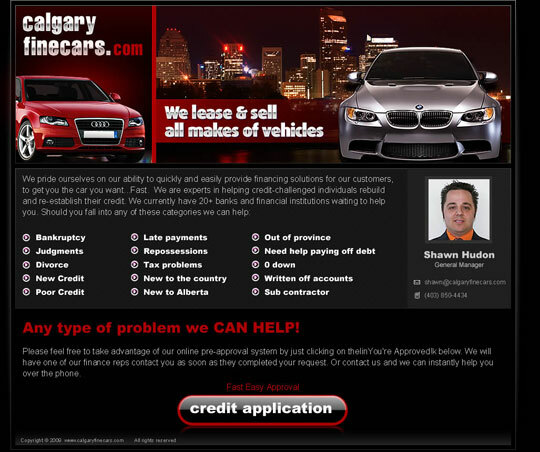 CalgaryEliteAutoSales.com required a brand that would professionally represent their business. search engines to start indexing our site. This website was created to promote the new corporate identity of ComplyWorks Ltd. 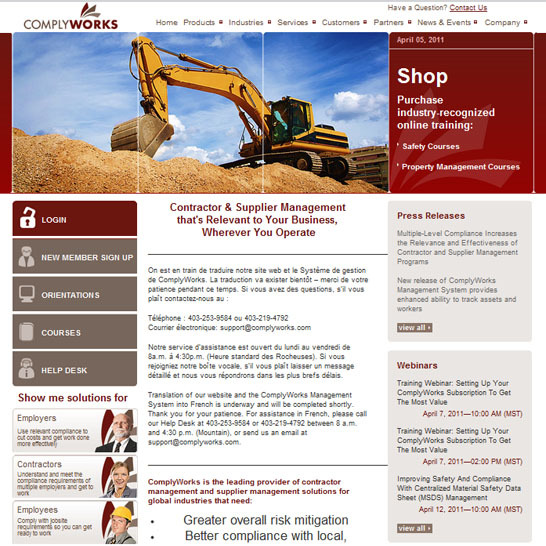 Formerly known as Canadian HSE Registry, ComplyWorks wanted to expand into a larger market internationally. In Phase I, we designed the layout focussed on their three categories of clients (Employers, Contractors, and Workers). We also included access for their existing members to the Registry and Online Orientations. In Phase II, we have implemented a Content Management System (CMS) that will allow staff to update each page of the website via a secure access panel. In Phase III, we have implemented a multi-lingual functionality to the CMS. 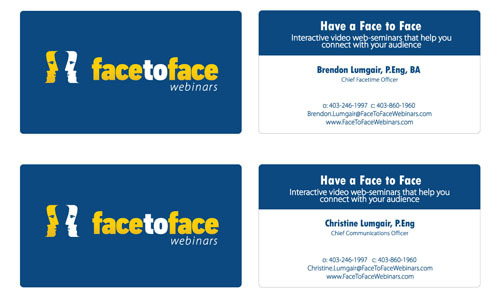 Face to Face Webinars required a brand that would professional represent their business. In developing their corporate logo, we wanted a visual representation of people coomunicating with each other face to face. We also designed their two sided business cards. 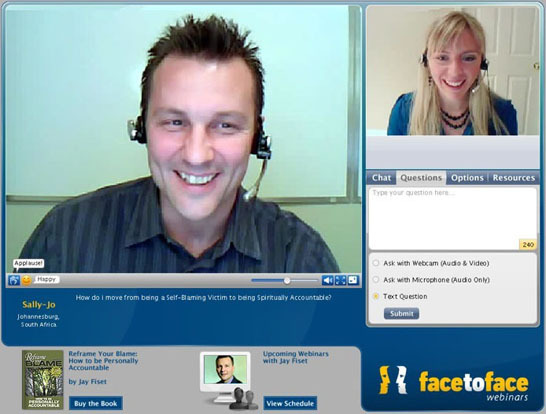 This system was created to enhance face to face communications over the internet with both streaming video and audio between groups of individuals. We utilized Adobe Flash Media Server as a base architecture to develop a custom application that includes three seperate User Interfaces for Participants, Presenters and Moderators. 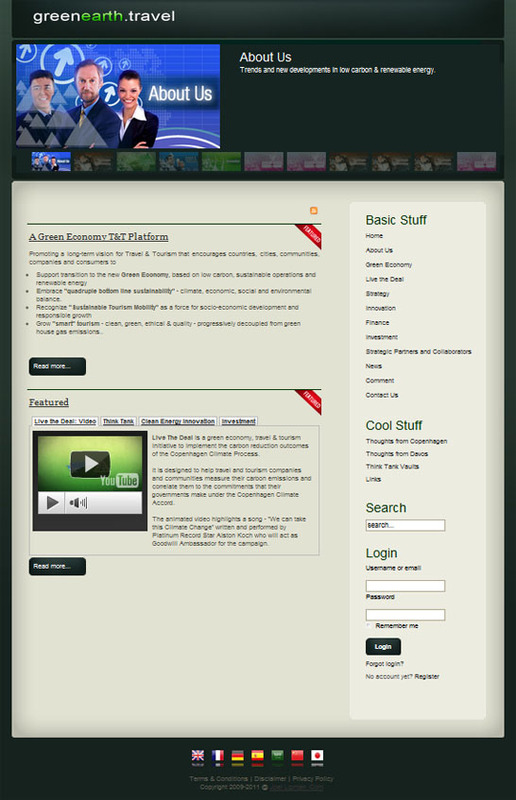 The system was designed to be a medium for online presentations with interactivity with participants. Similar to a Producer on a Radio / TV show, the system also includes a Moderator which manages the active video and interviews participants. 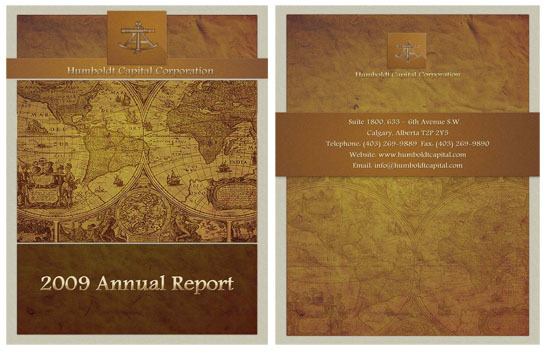 Humboldt Capital Corporation required a design for their Annual Report. 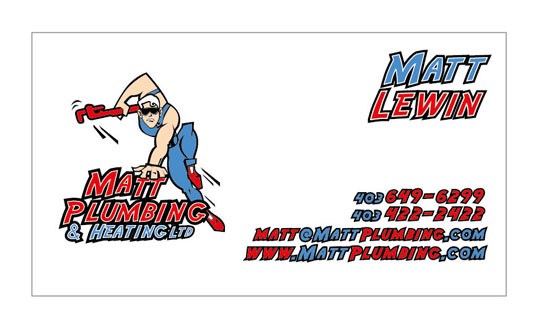 Matt Plumbing and Heating Ltd.
Matt Plumbing and Heating Ltd. required a brand that would professionally represent their business. Navitas Smart Systems Inc. required a brand that would professionally represent their business. This website was created to encourage big game hunters to join and become a Member of myhunts.ca. 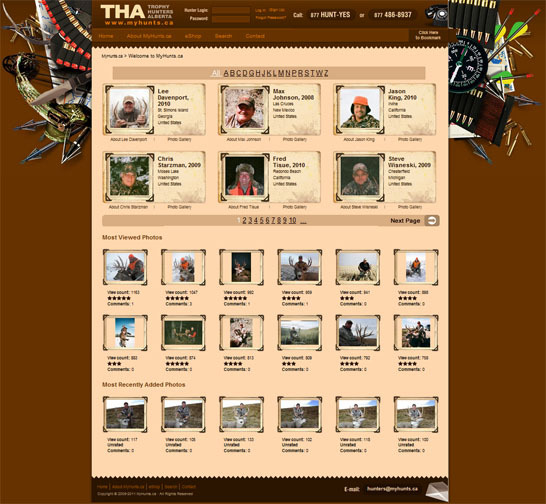 In order to encourage visitors, we created an interactive photo manager system (using Flash Flex), dynamically generated photo manager to display the "Most Viewed" and "Recently Added", ability for visitors to comments and rate each individual photo and allow visitors to refer their facvorite photo galleries to their buddies. 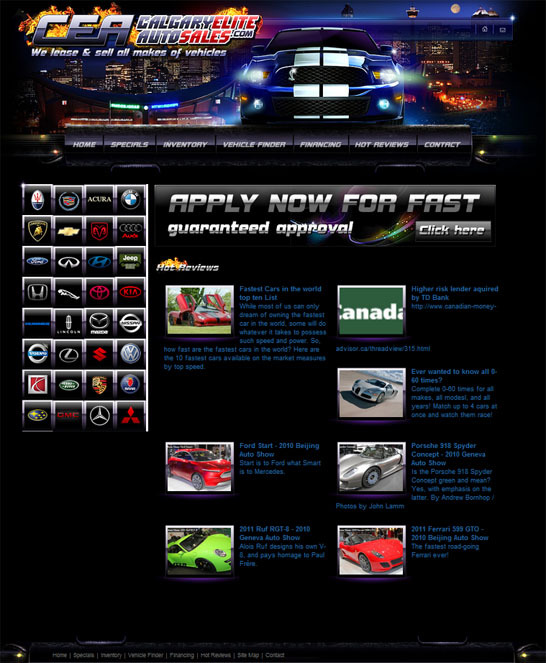 The website was designed to be interactive to maintain and retain website traffic. 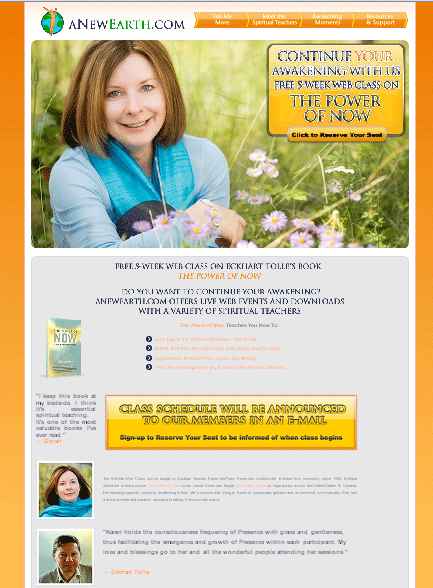 SpirutualTeachers.com required a brand that would professional represent their business. In developing their corporate logo, we wanted to represent the spritual experience of enlightenment. We also designed their two sided business cards. Description will be provided soon. 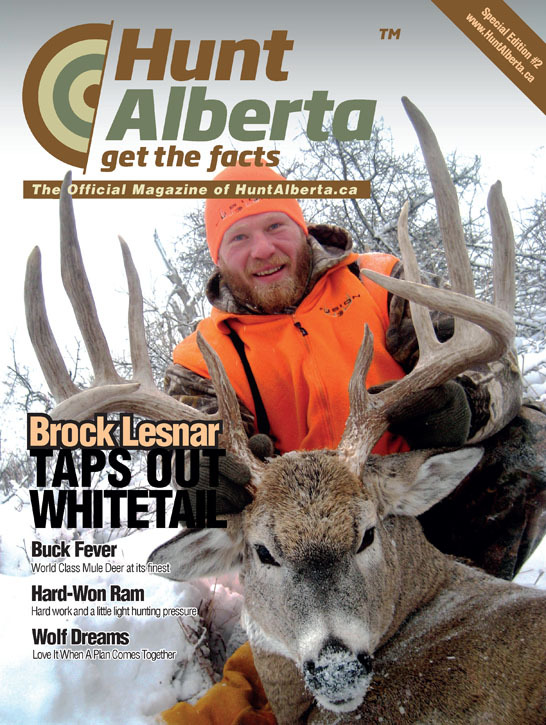 This website was created to promote big game hunts to non-residents of Alberta. 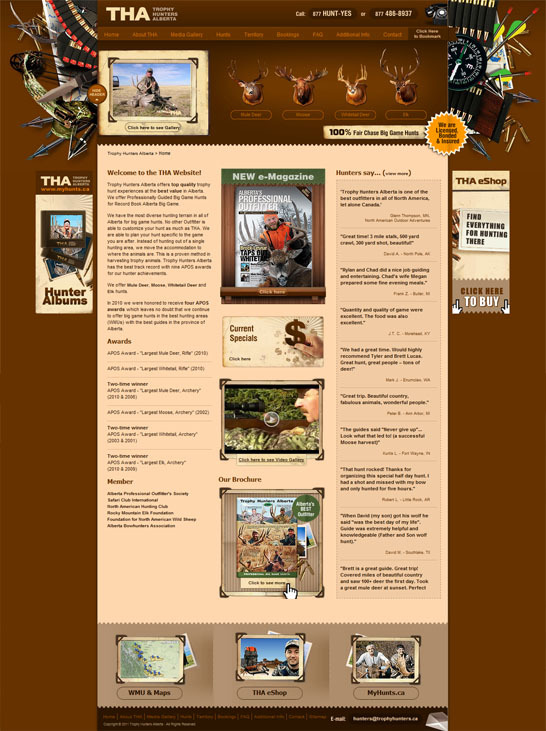 In order to encourage hunt bookings, we created a graphic rich website that is optimized in high screen resolution. Throughout the website, we used Flash Clouds to display rotating images and Brochure Magnifier to interact with visitors. To maximize site retention we also included a dynamic photo gallery which allows visitors to comment and rate individual photos. We created special WMUs customized for Google Maps to offer both satellite imagery and topographical views of each of the hunting areas. We also integrated an eShop with Amazon aStores to provide a full service online website. 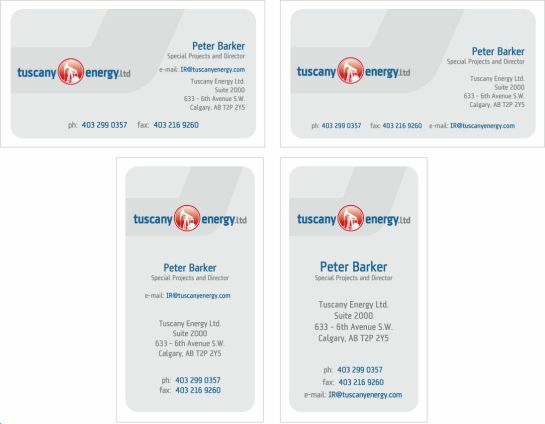 Tuscany Energy Ltd. required a brand that would professionally represent their business. 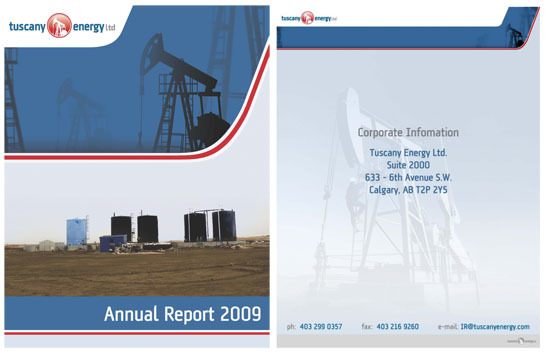 Tuscany Energy Ltd. required a design for their Annual Report. 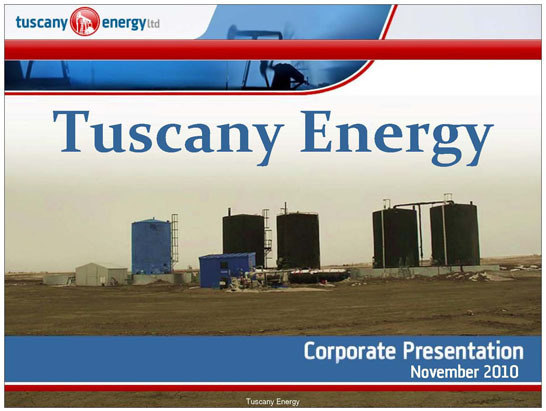 Tuscany Energy Ltd. required a design for their PowerPoint presentations.